It's no secret that online gambling revenues overall have been down for a lot of companies over the past few years. This steady decline has shown up in a number of sectors of the industry, but online poker is one of the places that has taken the decline more than others. 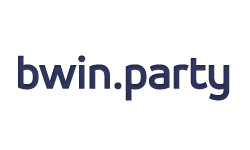 This has led to some major changes in how software developers and operators handle their poker operations, and it could be some of the motivation behind rumors that Bwin Party could be looking to sell. Once known for running the largest online room in the industry, they are known having to deal with the reality of the current state of affairs. The rumors of Bwin Party Digital Entertainment selling comes after they were seen meeting with Deutsche Bank to figure out what their options would be if they did decide to sell. A decision on what to do is supposed to come inside of the next couple of months, and there are a few different reasons that could be serving as motivation for such a sale. These reasons have to do not only with the state of online poker but with their lack of getting into the US market as early as they thought they would be able to. So far this year, the value of Bwin Party stock has dropped by 25 percent, and that's an enormous decline for just six months. Last year they also saw a lot of difficulties because of problems they were having in newly-regulated markets and with stiffer competition than ever before. These difficulties have led to a number of changes at the top of the chain of command including Phillip Yea taking over the chairman seat and three board members seeing retirement. Something that could also be influencing their efforts in the poker department in the United States is that Amaya Gaming has been in deals to purchase PokerStars who also owns Full Tilt Poker. At one time, Party Poker, PokerStars and Full Tilt were the three largest rooms on the Internet, and with PokerStars being previously shunned in the US market, it looked like Party would have good chances to take back over in the United States after they pulled out and fell from the top spot back in 2006 after the passage of the UIGEA. In any event, the PokerStars purchase would mean more competition in the US than previously expected.